Happy December! 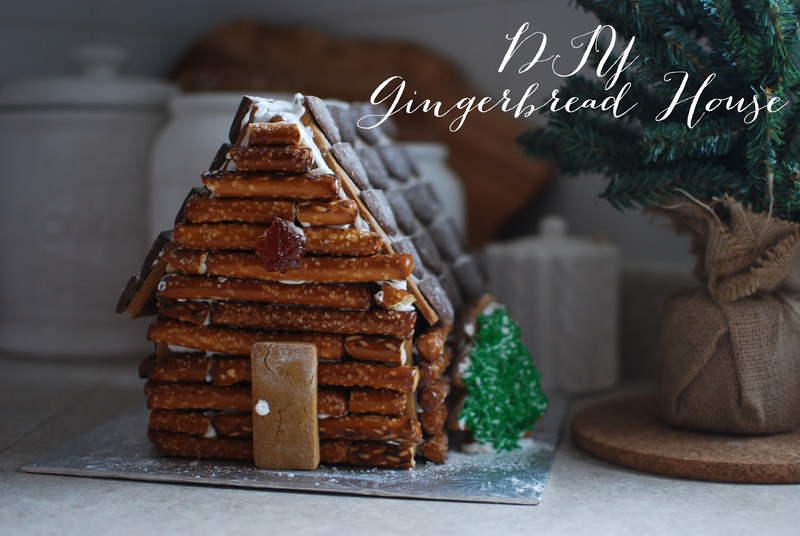 I'm kicking off this month with something that has been on my Christmas 'to do list' for a while - build a gingerbread house from scratch! December also brings a lot of excitement so I'm declaring this month on my blog to be #amonthofmerry. I'll be tagging all my festive activities with the hashtag on Instagram, so be sure to check it out or tag your own pictures so I can see! When I was younger (okay and even in university) we went for smarties and gum drops and essentially made a house that would send shivers down a dentist's spine. 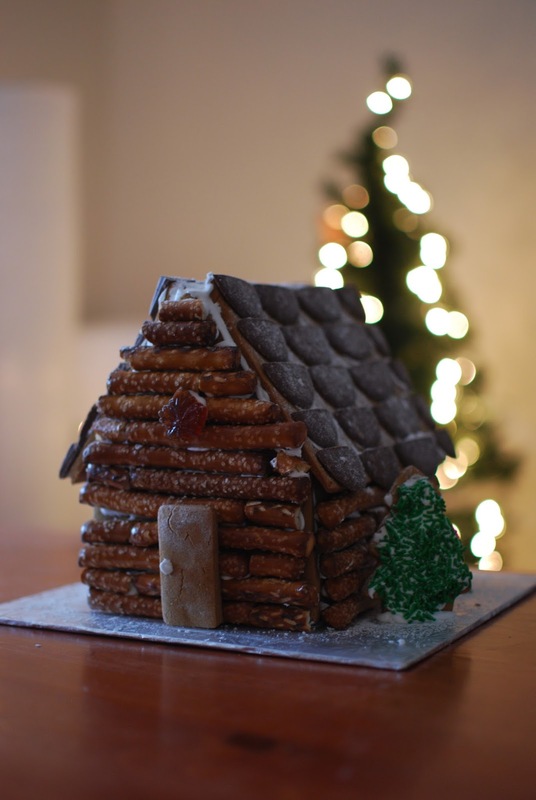 So I wanted to take a more sophisticated route this year...and that's when my gingerbread log cabin was born. I made the gingerbread and let it dry out overnight in an attempt to make it firmer to work with. I held it all together with royal icing, which is like glue and hardens to every surface (including hands, tables, cats, etc.) The most exciting part of the morning was successfully filling a piping bag with no spills! About a third of the way into the construction of the house I realized I hadn't taken any photos of it as I had planned, so I decided to continue anyway and just share the finished product and the handy gingerbread recipe! This recipe isn't just for houses - it's actually the recipe we use every Christmas for our cookies. I would strongly advise you use royal icing if you're going to try to build a house from scratch just because it is the cement of the cookie construction world. So here it is! 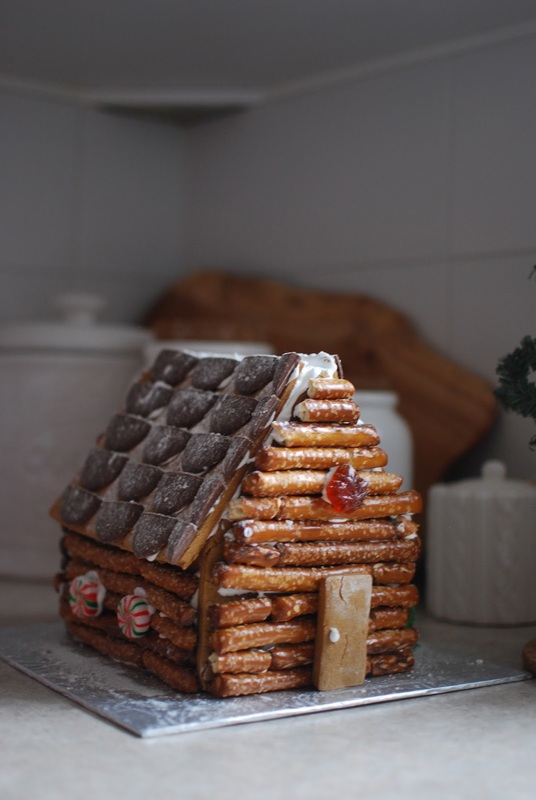 Large pretzels as the logs, chocolate wafers as the shingles, a light dusting of icing sugar for that 'fresh snowfall' look and the maple candy to remind you that this is a Canadian log cabin, eh! I don't claim to be an artist, but I do like these types of things because they take time and they allow for a bit of creativity! In a bowl, cream butter and sugar together. Add molasses and water and mix until combined. Mix together dry ingredients in a separate bowl and add to wet, mixing until combined. Roll out dough on a lightly floured board and cut into desired shapes (there are tons of templates on Pinterest!) Bake for 8-10 minutes. *the extra tbsp makes a difference in the consistency of your dough. Without it the dough is too crumbly and doesn't hold together.